Of all the hurdles I thought I’d have to face as a parent, I never thought homework would be the one to trip me up the most, causing so many tears and leaving some of us flat-faced on the floor. When will this nightmare be over? When I was a kid, I came home from school and did my homework. It wasn’t until high school that I remember writhing in pain as my dad tried to teach me formulas and pre-calculus while my eyes rolled back in my head and I bit my tongue hard to keep bad words from spilling out. I despise math. I could not sit in a chair long enough to listen to anyone explain it because I did not care about it. Yet, somehow, I managed to survive it. I thought with the repeat of my college algebra course that was the end of it. No more. Hallelujah! The only math I’d see was for simple household measuring, grocery shopping. My word, someone has put a curse on me and given me children who sometimes need help with math. And I have to be the calm one. Occasionally I check my son’s homework. Not always. I look at those long division problems and three-digit multiplication and know it would take me all night to work it out in my head. I don’t have time for that. My son does well in math. I glance and figure it’s OK. Yesterday I got out the calculator to check up on him, just to make sure he wasn’t struggling. He got four of those big multiplication problems wrong. He redid the first one—992 x 91—and got the same answer. He did it again, same answer. “Well this is the answer the calculator says. You’re not doing it right,” I told him. Mind you, I didn’t take away his dinner or tell him he couldn’t have candy for a year, but the rolling on the floor and fussing that ensued would have made you think so. He did the problem again and he got the same answer. His mechanical pencil mysteriously “fell apart.” I worked the problem on the calculator again. It had the same different answer I got before. Then I worked the problem on paper and got an entirely different answer from any of them, but it was closer to his. This was not looking good. Are calculators sometimes wrong? I use this calculator for work, for important things. I’ve used this calculator since college. This calculator gave us an answer that was nearly 60,000 off. I thought the answer seemed strange but who am I to question a calculator? We went to the computer and got the same answer I got on paper. The calculator was wrong. My son was wrong. I was right. What is wrong with this world when you can’t rely on a calculator to check your math? My son had only missed two problems and not four. Our calculator could not be trusted. And I guess that meant that I could not be trusted in my son’s eyes. I guess it also meant I’m going to have to start working all those problems out the long way. Or maybe he has this multiplication thing down good enough. Am I smarter than a calculator? I know you’ll probably roll your eyes at this but I really like math and I’m wondering if the problem involves some brackets. How could the calculator give the wrong answer? Crazy! Never heard of a miscalculating calculator! Ah, the bright side. Thanks for pointing that out! Next time just break out the abacus and really show him how it’s done! My son is already well ahead of me and he’s 9 (hangs head). I can do french, history, english…….edge into biology but maths, no. I’m sure the calculator is wrong! 😉 maybe all it needs are new batteries? or you might have not entered the formula correctly? I entered the problem right, at least a dozen times. It was 992 x 91. It kept giving me 30,000-something. We think it was the batteries. It has to be. Time for a new calculator. I would have been completely frazzled. It’s the second to go nuts in a year. Though the first one was clearly broken. This one acted sane except for that one problem, making think I had gone insane. Yes, a new calculator is a must! Math and me were never friends. That’s why this scene is one of my very favorites in movie land. Amen! Except I went out with my journalism degree and found a copy editing job that required me to edit worksheets for elementary school teachers. And guess what I had to edit? Math worksheets with fractions, word problems, and all kinds of crazy stuff I thought I’d never again have to use. I had to relearn so much! It was for the best. It’s been a great help, ahem, in checking homework. I would have had to starve! Did you try other problems with the calculator? Perhaps you pressed on a combination of buttons that changed the setting in Rad mode instead of Deg mode or something. That would account for the difference in the answers. On another note, I feel for you, sorry you had such a frustrating time. I did. I thought the same thing, that maybe I pressed some function button. But when I worked out other problems, I got the same answers on the computer’s calculator. It’s a mystery. It’s like my high school math classes, another problem I can’t solve. I know how you feel – I am already flustered with 2nd grade math. ha. I was planning on relying on the calculator, so this is not good news for me! Also, God blessed me when he sent me my husband, who has his MBA and is an accountant. Otherwise, I’d probably be on the street for not paying my bills correctly or something. Math is the one thing that scares me about homeschooling! Yes, though now I’m starting to question technology in general. i can’t believe the calculator gave the wrong answer!! that’s crazy!! i am also a math a phobe. my husband does all the math and science in the family and i do the social studies and english. i want no part of math. didn’t like it then and don’t like it now – plus, they have all these new ways of doing it!! forgeetttabbboutitt! The new stuff kills me. It’s like a foreign language. What’s wrong with the way we learned it? I sound like an old lady, I know. eh?? i can’t hear you, can you speak up? yes, i’d like a muffin. you’re such a nice lady. At least I have that going for me. I am apparently the only parent in America who NEVER helped their children their homework. My job was to create the space and quiet to do it, and then leave them alone. If they got it all wrong, that was up to the teacher to correct. I feel exactly like this. I am shocking at Maths. It took me until I was 31 to pass my Maths GCSE, which I had to pass in order to teach Drama???!!! You have a better mindset than I do. I’m always trying to teach the kids my way to do it b/c I refuse to learn another way to do math! This will be me when my kids are old enough to go to school! 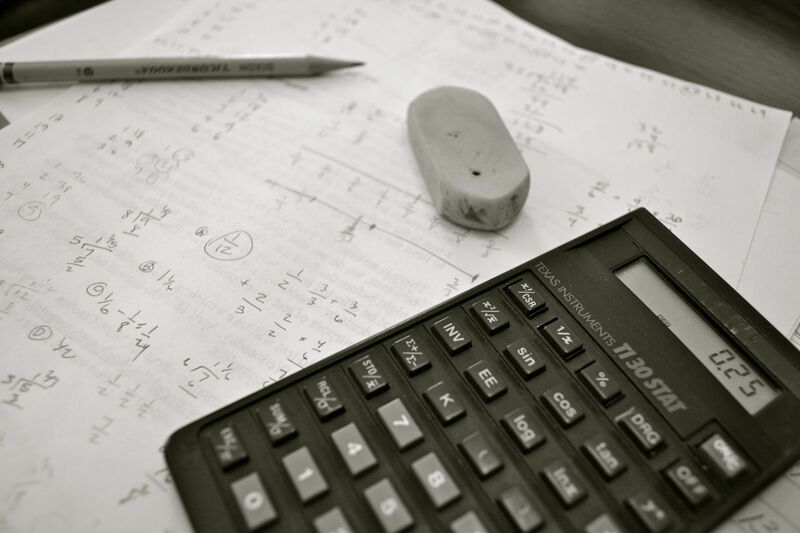 I have a math disability and absolutely hated it in school. Once the kids get as far as your son, I am doomed. My husband is a former math major, and he can do mental math for everything. This sounds like the kids and I…I feel part of this mom’s pain! That’s what we verbal people go through.